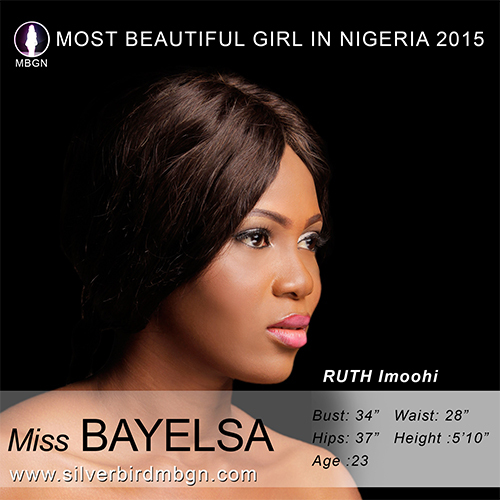 The Most Beautiful Girl In Nigeria(MBGN)2015 Competition Is On! See The Official Photos Of The Contestant From Each State.. The silverbird yearly organised event MOST BEAUTIFUL GIRL IN NIGERIA (MBGN) is finally on, they recently released the photos of the representatives of each state. Well, in the sense of appreciating and promoting the Nigerian beauty we’ve decided to show you pictures and details of each contestants from each of the 36 states. You also can vote in the person you think deserves to be the 2015MBGN. Well, these ladies are all indeed pretty.. So why do some guys say they can’t marry a Nigerian lady?? Nigerian ladies are beautiful! So who are you voting for? ?